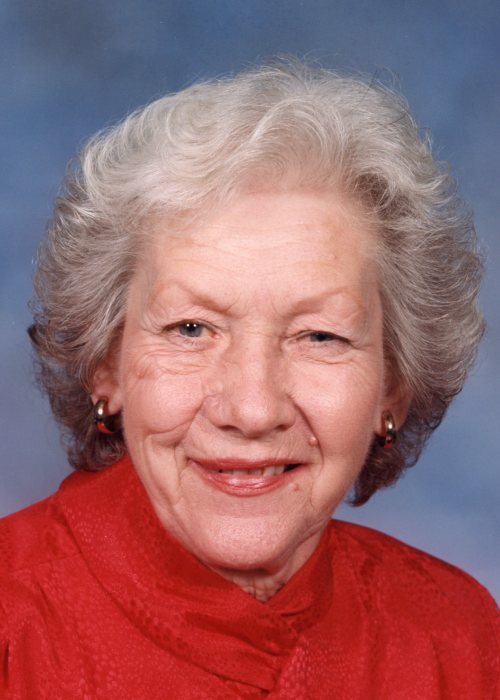 Elizabeth “Betty” Drennan, age 88, of New Smyrna Beach, died Wednesday, January 16, 2019 at Halifax Health Hospice, Edgewater. Betty was born in Cincinnati, Ohio and was a lifelong resident of New Smyrna Beach. Betty was a domestic engineer, a loving and devoted wife, mother, grandmother, and great-grandmother. Her home was always open to the neighborhood children. She loved music, Tampa Bay Rays, and NASCAR (Jeff Gordon fan). A member of Coronado Community United Methodist Church for over 60 years, Betty sang in the choir and volunteered at Cor Meth Day School. She worked very hard at the rummage sales and in the Coronado Boutique Thrift Shop. She served on numerous committees and was devoted to her church and her church family. Survivors include her son, Jay (Laura) Drennan, of New Smyrna Beach; daughter, Becky (Tom) Clary; grandson, Dean Eric Boyd; 2 great granddaughters, Cheyenne Boyd and Katelyn Boyd; great grandson, James Boyd, all of Alabama and several nieces, nephews and cousins. Betty was preceded in death by her parents and husband of 30 years, John F. Drennan, Jr.
Funeral service will be 11:00 a.m. Tuesday, January 22, 2019 at Coronado Community United Methodist Church, with the Reverend Laura Berg, officiating. Friends will be received on Tuesday, January 22, 2019 from 10:00 a.m. until the time of the service. Entombment will follow at Edgewater-New Smyrna Cemetery, Edgewater. In lieu of flowers, the family suggests donations to Coronado Community United Methodist Church, to support the music scholarship program for students, 201 S. Peninsula Avenue, New Smyrna Beach, FL 32169.